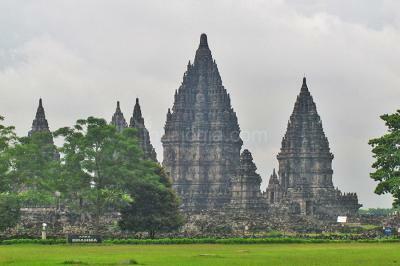 Candi Prambanan or Candi Rara Jonggrang is said to be the most beautiful Hindu temple in the world. 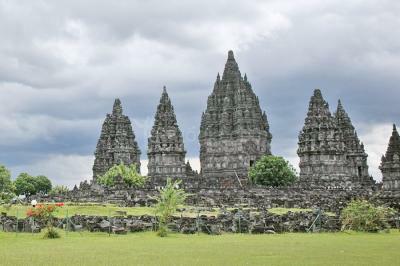 It is the biggest temple complex in Java with three main temples decorated with reliefs illustrating the epic of the Ramayana, dedicated to the three great Hindu divinities (Shiva, Vishnu and Brahma) as symbols of Trimurti in Hindu belief. We offers open trip for transport only for this tour. We provide private transport to visit and explore the Prambanan Archaeological Park consist of Prambanan Temple, Sewu Temple, Bubrah Temple and Lumbung Temple, after that you can see the epic hindu history on Ramayana Ballet show that was adapted to become an important local dance, encompassing the Javanese style, culture and music. Reservation minimum two day in advance.